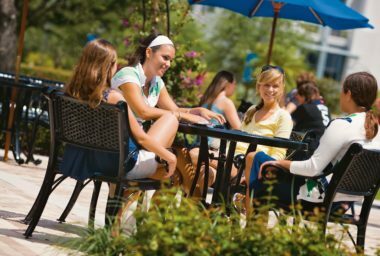 MDG doesn’t do anything by the book. 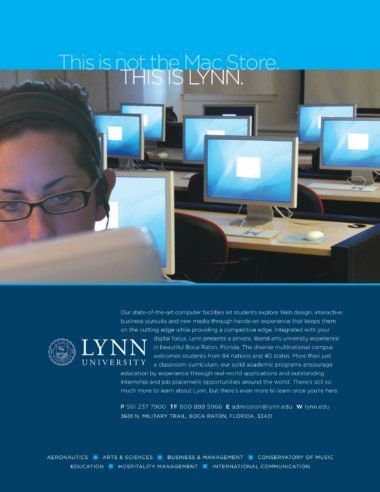 We have our own school of thought and we like to think big, which is why we developed a seven-part print campaign to promote the benefits of learning at Lynn University. 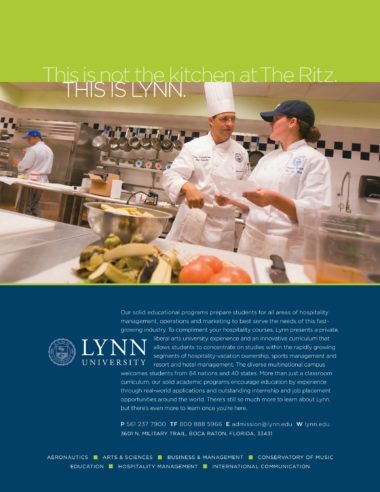 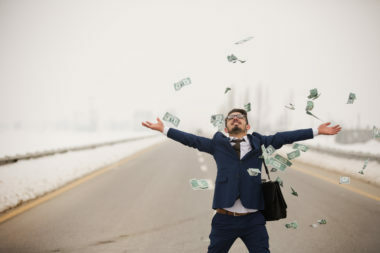 Each of our ads focuses on a distinct advantage of life at Lynn, from the specialties of the individual colleges to the extensive opportunities for career preparation. 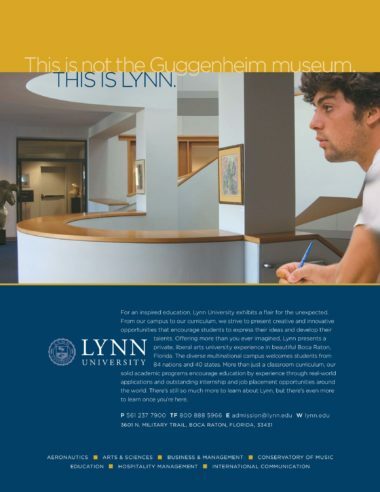 No matter what their field of study, students will find plenty to love at Lynn. 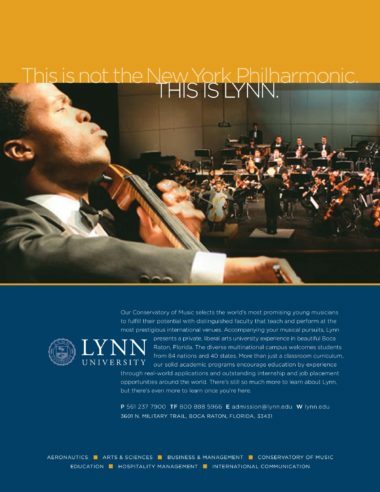 Our ad for the College of Arts & Sciences illustrates how Lynn provides creative opportunities for students to express themselves and develop their interests. 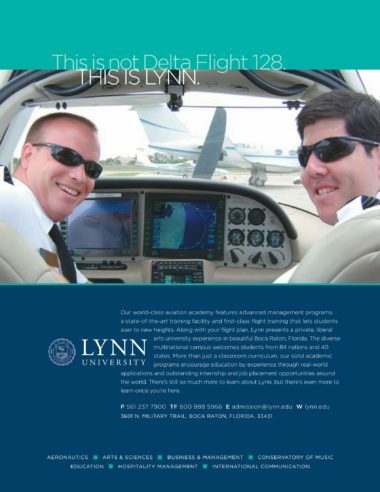 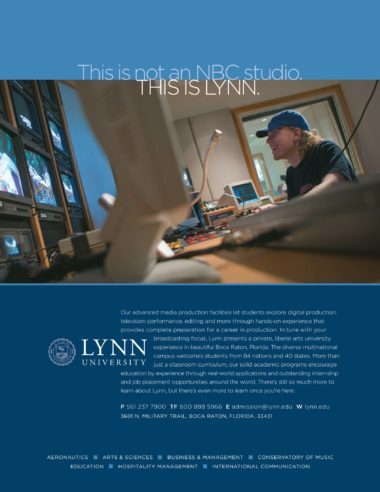 For students focused on broadcasting, this ad promotes the superior skills, real-world experience and advanced media knowledge available at Lynn. 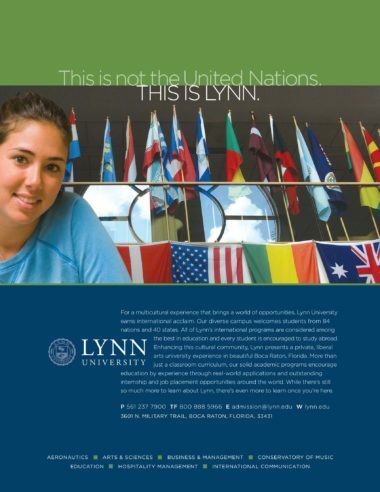 For more information, take a look at www.lynn.edu.